DAVID LE/Staff photo. 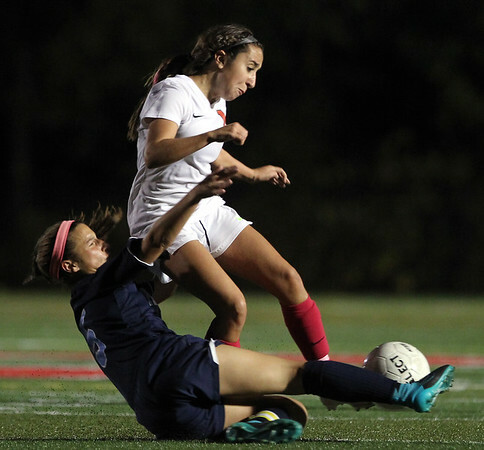 Peabody senior Katrina Silva, left, slides in to poke the ball away from Marblehead junior Megan McCarthy. 10/14/15.